If you are looking to value your old one thousand dollar bill then please consult our guide. It should give you all of the important information related to $1,000 bank notes. One thousand dollar bills may seem rare and exotic to the casual observers. The latest series date is 1934A. Surprisingly though, $1,000 bills were seen in circulation up until the early 1970s. 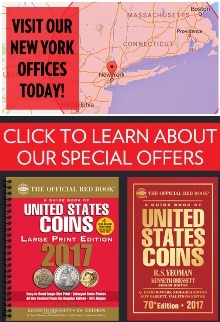 You could still order them from banks in the 1960s. It is not uncommon for older Americans to take them to the bank to try to get face value today. Of course we wouldn’t recommend selling them for face value. Only severely impaired examples should be worth face value. All other notes are definitely collectible. Some $1,000 bills can be worth several thousand dollars each. Your standard value for a generic note in lightly circulated condition is probably $1,600. However, there are plenty of exceptions to that rule. Keep reading our guide to learn more information. It should go without saying that at the time when most $1,000 bills were printed that they were virtually unobtainable for the average American citizen. We are specifically talking about 1928 and 1934 notes. You can only imagine what kind of purchasing power a $1,000 bill had during the great depression. 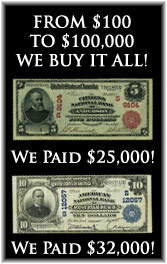 What is really amazing is that $1,000 bills were first issued during the 1860s. You would have to be extremely wealthy to ever even see a one thousand dollar bank note issued before 1900. That is why large size $1,000 bills are so rare today. If you were rich enough to see one, you were smart enough to not keep it. Currency didn't really become collectible until the 1950s. There was no reason to save a $1,000 bill. You were just losing out on the interest it could be earning. You are most likely to see $1,000 bills dated as 1928, 1934, or 1934A. You need to pay attention to two things. The serial number and the condition are what affect the value the most. Condition is fairly self-explanatory. All things equal, a note in perfect condition is worth considerably more than the same bank note in heavily circulated condition. 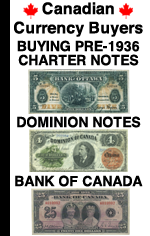 Generally speaking, collectors pay the most for 1928 notes, then 1934, then 1934A. There is not a huge price difference between the three dates, but it is important information to know. Besides condition, you need to pay close attention to the serial number, especially on 1928 and 1934 notes. If the serial number on your note is under 100, for example D00000085A, then the note should sell for a nice premium. You will see lots of serial number between 101 and 100,000. Those numbers are not considered low. Approximately 99% of antique $1,000 bills will have a serial number that ends with the letter A. One percent will have a star symbol instead of the letter A. Star notes are very rare from 1928, and scarce from 1934 and 1934A. Please contact us if you have a star note. We should also mention that the issuing district (Boston, New York, Philadelphia, Cleveland, Richmond, Atlanta, Chicago, St. Louis, Minneapolis, Kansas City, Dallas, San Francisco) can occasionally affect the price. However, the district premiums really only apply to notes in choice uncirculated condition or better. Why Don't I See My $1000 Bill In Your Guide? : There are some large size $1,000 bills that you just aren't going to see. We are trying to keep our guide short and informative. We didn't include the super rarities. We also aren't including esoteric issues like obsoletes or foreign money. Any $1,000 bill has a great chance to be rare and collectible. Contact us for details. Who Is Pictured On The $1000 Bill? : The modern small size $1,000 bill has a portrait of Grover Cleveland. Lots of different politicians and leaders were featured on large size one thousand dollar bank notes. What Is The Most We Have Paid For A $1,000 Bill? : We once paid more than $20,000 for a rare 1928 star note. We paid more than $30,000 for a consecutive run of ten 1934A $1,000s. We also bought a large size 1918 $1,000 note for around $15,000 (and it wasn't even in great shape). Are you can see, $1,000 bills have a chance to be very valuable. Why Doesn't The United States Still Issue $1000 Bills? : High denomination notes are targets for counterfeits. They are also popular with people trying to move large amounts of cash without detection. Generally speaking, it just isn't practical for such a large denomination to be needed in day to day commerce. What Is The Most Common Large Size One Thousand Dollar Bill? : That designator belongs to the 1918 $1,000 federal reserve note. They are still rare, but you can buy one at will (in low grade) if you have several thousand dollars to spend. What Is The Most Counterfeited Old $1000 Bill? : As we said earlier, high denomination notes are always targets for counterfeiters. Any $1,000 bill printed before 1900 should be considered suspect until proven to be authentic. We also see lots of cheesy modern copies that come out of South Asia. Fortunately, they are not even remotely close to deceptive. If you have a $1,000 bill that is smaller than paper money is today, then you have a fake. Anything that is black and white or laminated is also a copy. If you are not sure about the authenticity of your note, then just send us some pictures of it. We can quickly tell you if it is real and what it is worth. What Is A Misprinted $1000 Bill Worth? : As you can imagine, the production and release of one thousand dollar bank notes was closely managed at The Bureau of Engraving and Printing. We have never seen any misprint errors. An authentic and severe error on a $1,000 bill would be quite valuable. What Is A One Thousand Dollar Star Note? : Star notes were first issued in 1910. However, they were not used for $1,000 bills until 1928. A star note has a serial number that ends with a star symbol instead of the letter A. They were released into circulation to replace notes that were misprinted and destroyed at the BEP. Star notes from 1928 are very rare. Other star notes from 1934 and 1934A definitely have the chance to be valuable as well. What Different Types of One Thousand Dollar Bills Were Issued? 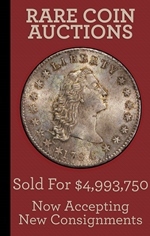 : National bank notes, confederate currency, obsolete currency, gold certificates, legal tenders, treasury notes, silver certificates, federal reserve notes, and interest bearing notes were all issued for the one thousand dollar denomination. What Is The Most Money A Rare $1000 Bill Has Sold For? : Large size $1,000 bills are the most expensive notes in the hobby. A handful of examples are valued at more than $1,000,000. The current record price is 3.3 million. We buy all $1000 bills printed between 1860 and 1934. You will never know what we would have paid unless you ask. The value might surprise you in a good way. Contact us today to receive a free appraisal and our best offer.